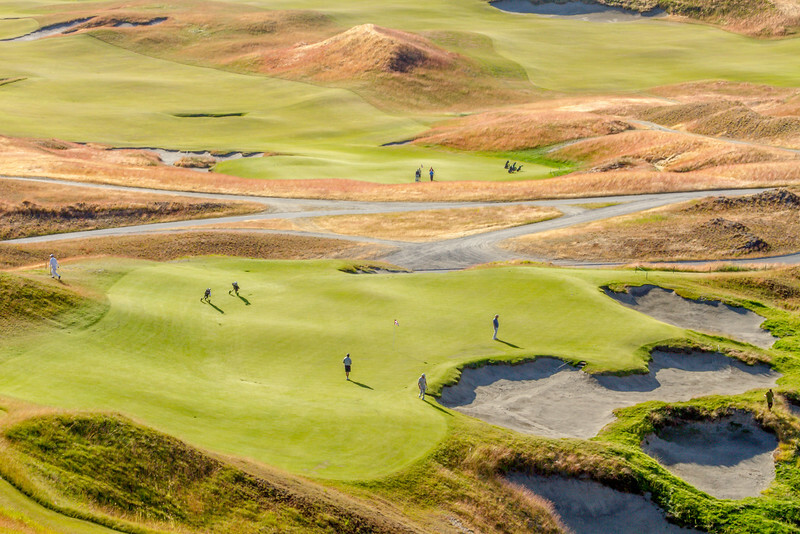 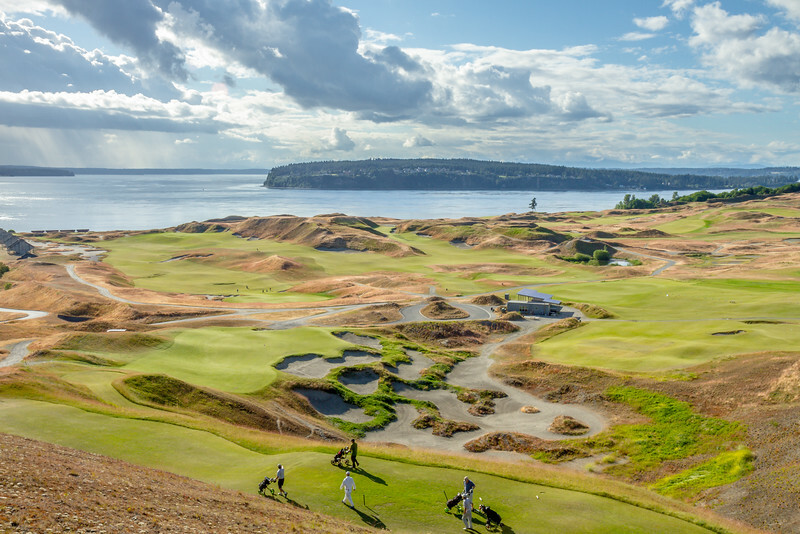 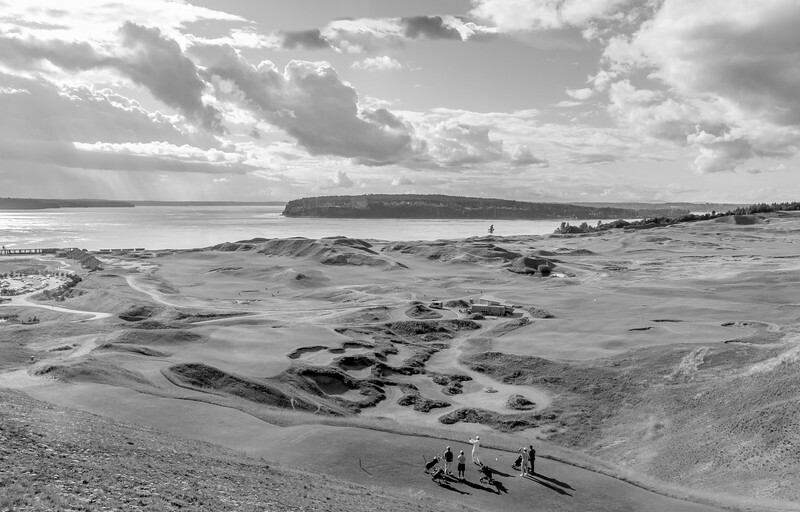 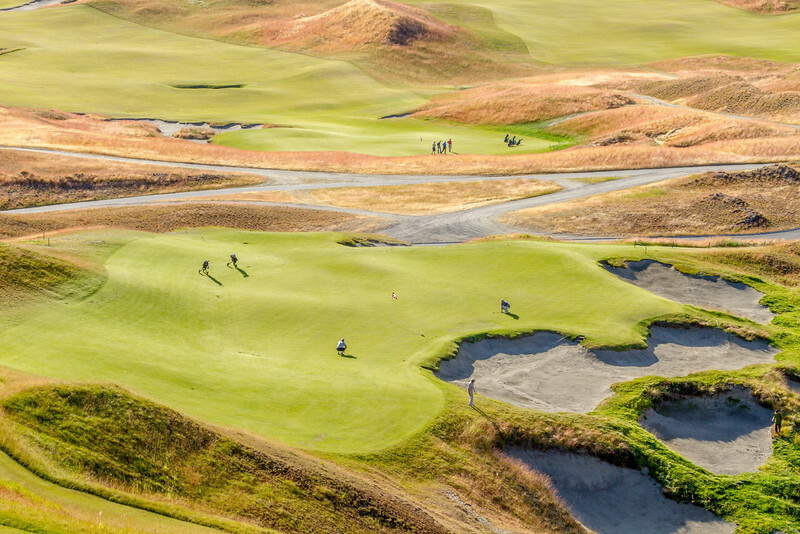 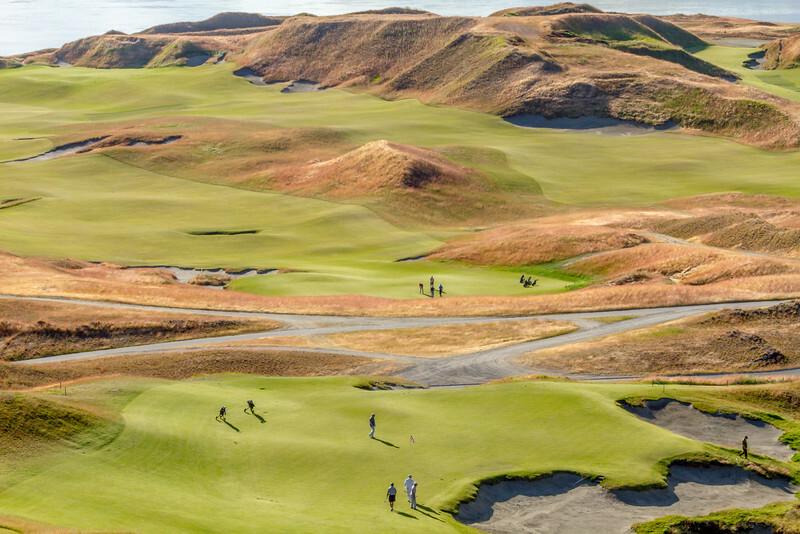 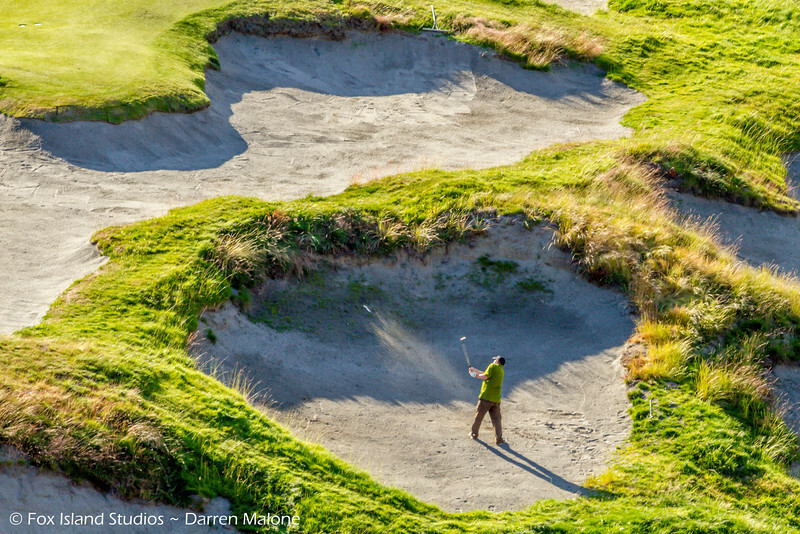 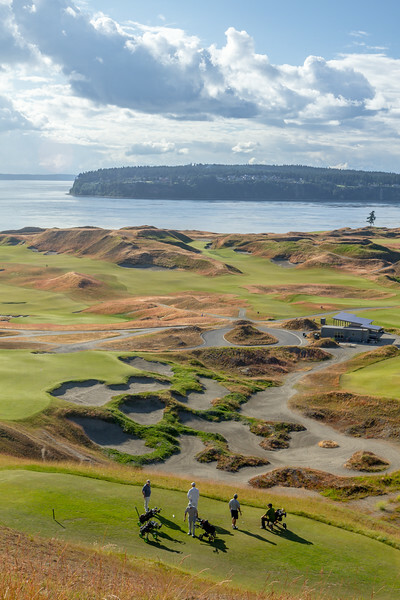 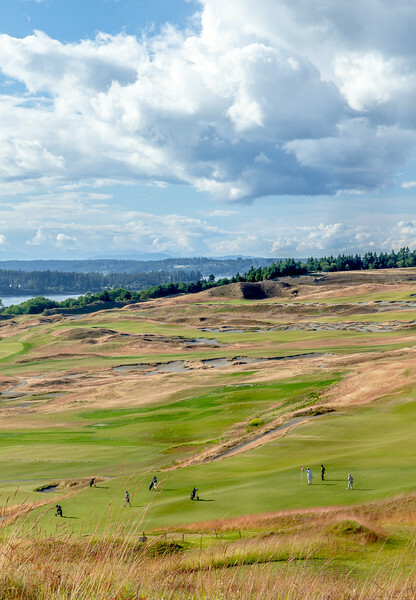 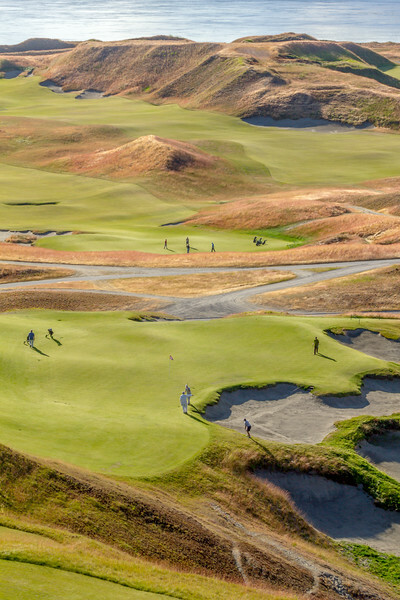 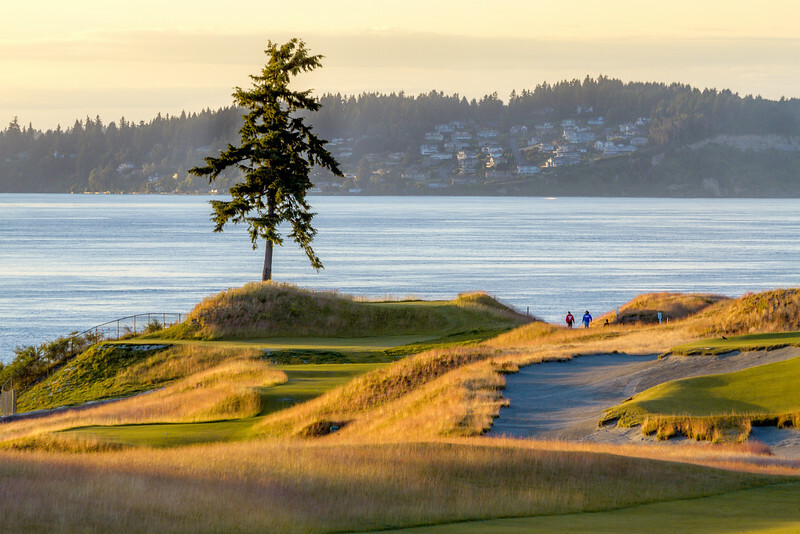 The 2015 U.S. Open golf tournament will be the first every played in the Pacific Northwest since the tournament began in 1895. 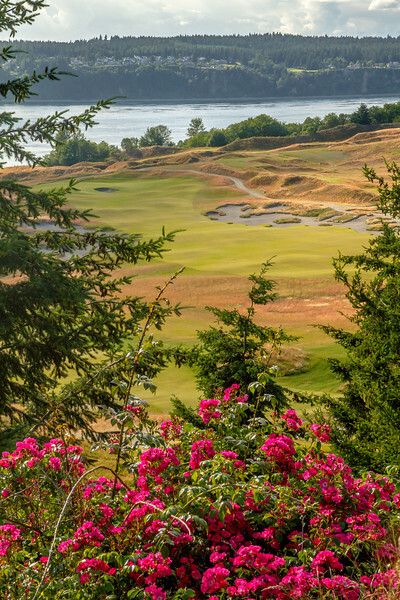 Portland Golf Club was host to the 1946 PGA Championship, won by Ben Hogan. 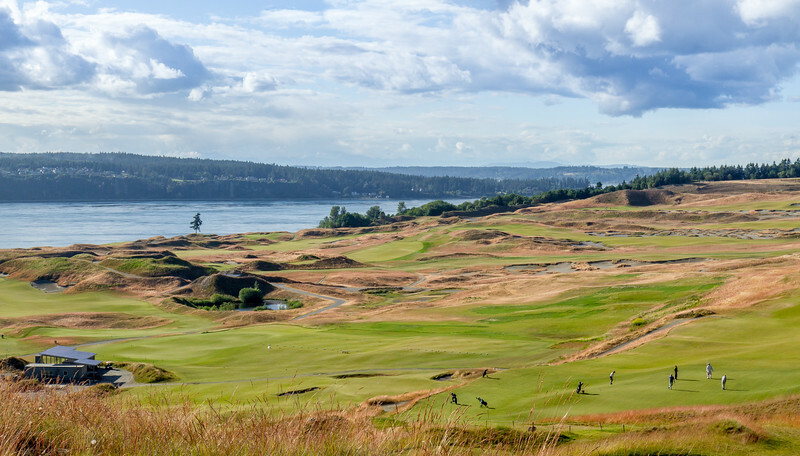 Chambers Bay is part of a large public park, Chambers Creek Regional Park, owned and managed by Pierce County. 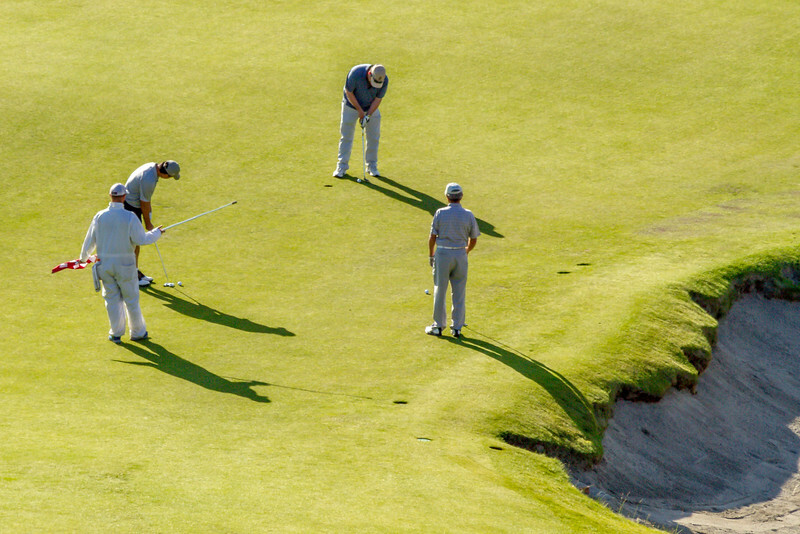 The 18-hole golf course is open to public play. 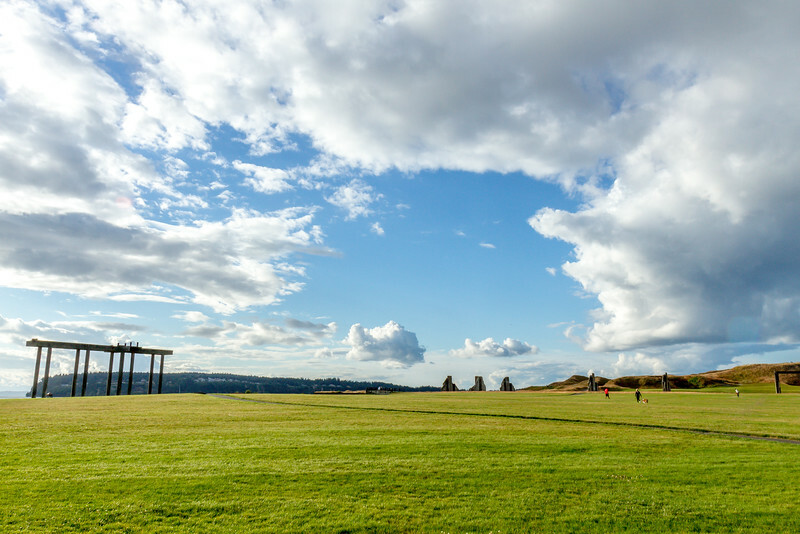 The 930-acres site has plenty of parking, wide open grassy areas called Central Meadow, plus a foot bridge across the main rail line (used by Amtrak) to 2.5 miles of beachcombing on Puget Sound. 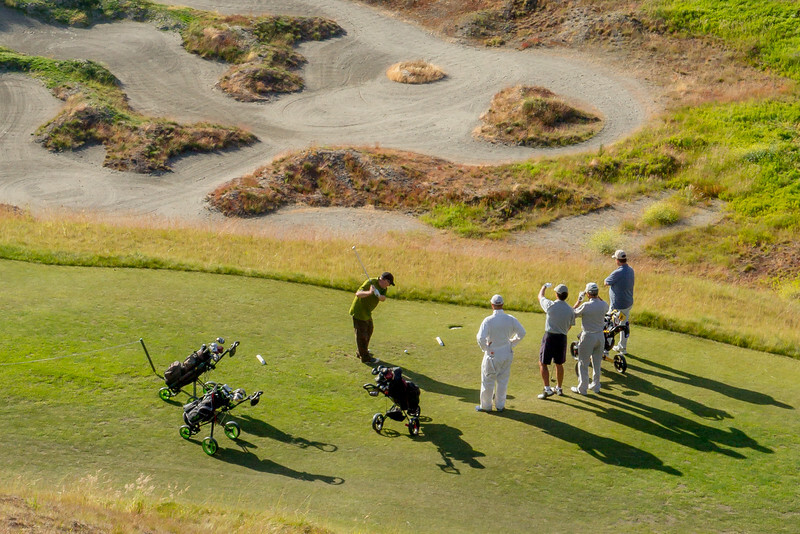 A 10-mile trail network circles the park, with one of the paved public paths cutting right between the golf holes. 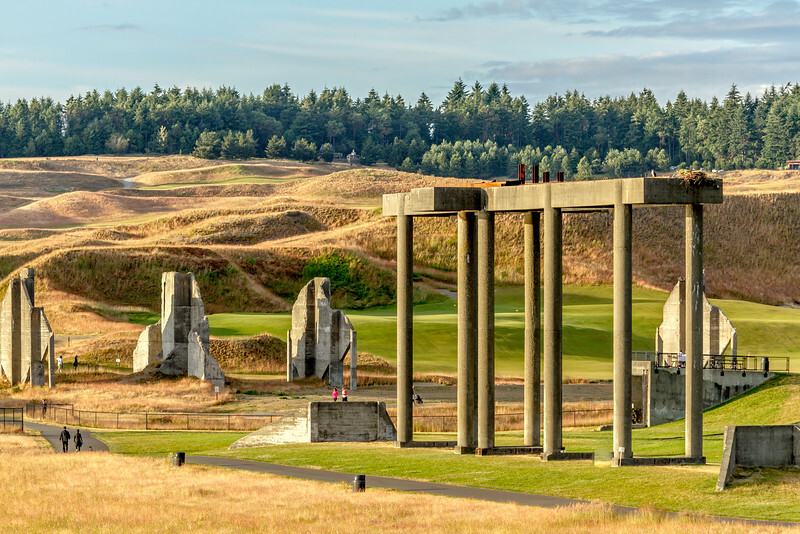 The golf course and park were created on the site of a former gravel mine, which left an open hillside with deep gouges. 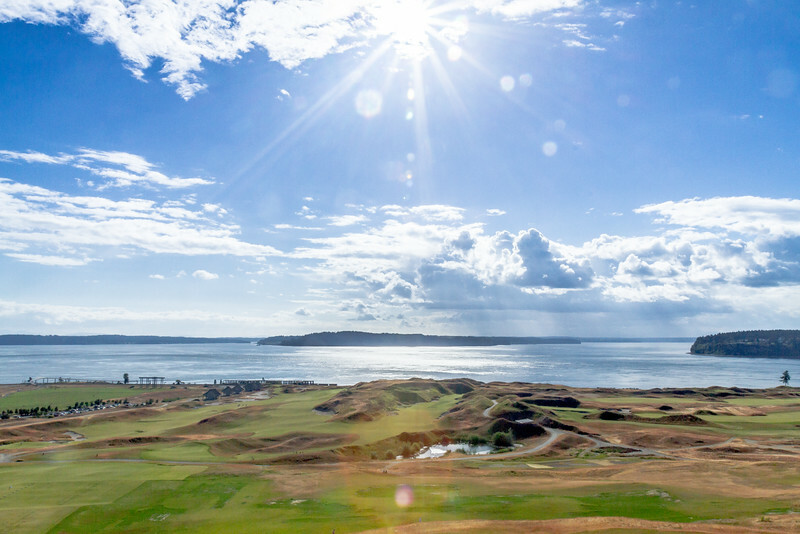 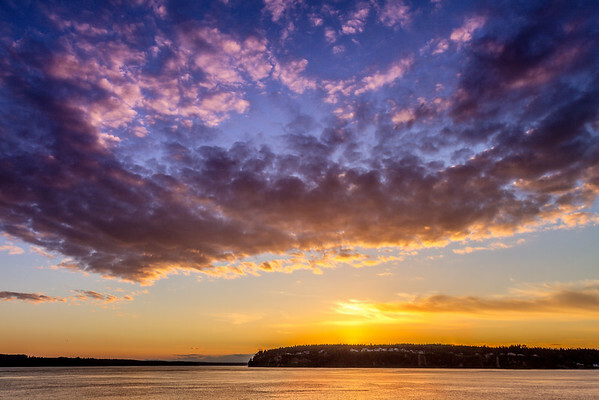 It turned out to be the perfect setting to build a links-style golf course, with only one tree in play on the course and stunning views across Puget Sound to the Olympic Mountains.